(CNS): The Indian heart surgeon with plans to set up a medical city in the Cayman Islands has told the Indian press that he intends to tie up with a US hospital chain that will be the investor in the project. 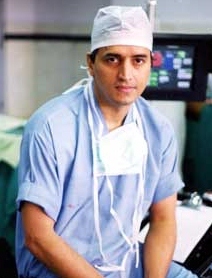 Dr Devi Shetty told the Business Standard said that the American firm’s doctors would treat the patients at the hospital while his Narayana Group would partner and provide the low-cost model of running a health care system. “We have a model to demonstrate — that with only a fraction of their total cost, we can get the same outcome that they achieve with huge investment,” Shetty told India’s leading business paper. “(The) Cayman Islands is close to the US. We want to change the way the US deals with health care,” the renowned surgeon added. He pointed out that the Cayman Islands is the only country that recognises an Indian medical degree as a result of the recent changes to the health practitioners’ law. “So, we can take Indian doctors there,” added Shetty when he explained that there would be opportunities for ordinary Indians to train and learn medicine. In the interview Dr Shetty talks again about the way the current system of training doctors and medical staff around the world increases the price of health care because it creates a shortage of staff. Shetty recently visited Cayman to push forward with his goal to develop a medical centre in Cayman starting with a 140 bed hospital on the site in East End. He said at the press briefing that he would now be focusing on patients from the regional market and Latin American market. His local partners said the first phase would start this summer if the planning applications, re-zoning requirements and other processes all went according to plan. Meanwhile, a 74-year-old man from the United States is recovery in one of Shetty’s hospital after he became the first American to undergo heart surgery at the Narayana Hrudayalaya without a blood transfusion. Although the man opted for the bloodless surgery because of his faith (he is a Jehovah’s Witness) the surgery has advantages. One of the members of the medial team, Dr Praveen Kumar, said it is cheaper and it diminishes the possibility of infections that occur during transfusion. However the doctor from Shetty’s group said the challenges are immense. "While operating, we use heparin, a medication that prevents blood clotting. And during the surgery, we have to be immensely watchful of the patient losing blood." I heard that the US hospital is the Mayo Clinic. That would make a huge differnce if it is true. I still think Shetty will have the last laugh at you folks. He does not operate 9,000 beds in India without a brain. In the BBC Hardtalk interview, Shetty said he would partner with a "not for profit" US hospitalgroup; that he would never get involved with any other kind of entity. Let's see if this "Mother Teresa" of Medicine told the truth in the interview, or it it was more of the BS, we've been subjected to, e.g., Medical tourism facility not in competition with local doctors – yeah right! 2000 bed hospital – hello? $2 billion investment in Cayman – of course! Low cost model for locals using Indian doctors, and US doctors for the medical tourists – What? The way this country is selling out to any expat with a few dollars to invest is both ludicrous and sad. Every day, Cayman's quality way of life is being diluted by disjointed gowerment policies. It's a sad, sad state of affairs. So then it is possible to make promises, get concessions from government that are not available to locals, and then sell on the concessions to who knows who? Nice one. All the fro and to is just a waste of time as we all know by now that the truth (well, some of it) will only be known once the hospital is built and up and running. Shetty is another man who can easily outsmart our Government and runcircles around them. Honestly, all foreign investors real and imagined can run circles around McKeeva. At 20:13 Hospitals are not like gas stations,telephone companies,supermarkets where every human needs it as a necessity. It a hospital which means health care . Maybe there are some of us that are always ill in need of the hospital but then again there is also going to be over quoted health care bills.More competition in this service could result in not one but maybe all 3 will struggle to make bill payments or the same high overheads and then what ? Or even worse, our own GT hospital becomes a money pit worse off than it is now and we the people end up paying more to keep it open. Do you think the standard of service and care will increase or some will have to close down. We are then left with a ghost buildings for future investors to glare at? Bad message if that investor did not know the real story behind why. I have no problem with his idea or venture , just stick to the original plan which he also said nothing about finding other investors down the road. Obviously, market forces are causing Dr Shetty to backtrack from his world dream. Those forces may kill it, which is certainly not what we want or expected. This is no small change in his original plan. It is an almost a complete gutting of it and it looks as if Shetty is desperately trying to hang onto some of the pieces. market forces were clear from the outset — Shetty cannot profitably run a 2,000 bed hospital in Cayman, which is one of the most expensive jurisdictions in the world! Give Ezzard Miller the cudos he said this was the only way medical tourism could work from day one of the Shetty fiasco, partner with American doctors not indians who could not meet our standards for licensure. What an alarming statement "Cayman is the only country in the world that accepts indian doctors" Mr. Scotland and his UDP team should be ashamed of themselves. Also Ezzard seems to have been right that 2000 bed hospital could not work as it was too big now Dr. Shety after receiving all the concessions for 2000 beds is down to just another small hospital to compete with locals. This is starting to look like American outsourcing. Instead of "made in China" it will be "repaired in Cayman". Since he has changedhis plans can't we change our concessions? Am I the only one that caught that we are the only country in the world to recognize a degree from India and taht they would be training Indian doctors? "He pointed out that the Cayman Islands is the only country that recognises an Indian medical degree as a result of the recent changes to the health practitioners’ law. “So, we can take Indian doctors there,” added Shetty when he explained that there would be opportunities for ordinary Indians to train and learn medicine". The first sentence says it all really. So, the real reason for the medical school is to train ????? Medical schools are usually for training. What else would they be for? I guess employing Caymanians is one answer. asked it before…will ask it again….. how much did he 'buy' the land in east end for??? Whoa to build a multi-million dollar hospital he needs financing? What that's crazy! XXXX I feel sorry for all you people who think the sky is falling. If this deals pans out even 25% of what is envisioned this will be the best thing to happen to Cayman since I was born. LMAO just joking. But seriously, I'm not. So the project is not Shetty at all, it's a US hospital group! Round and round and round we go, and where it stops nobody knows: not even the GIC! Something about this dude rubs me the wrong way. I have seen a few of his interviews by now and quite frankly, I wouldn't even buy a used Toyota Corolla from him – much less a multi-billion dollar proposal. Four words describe Shetty's global project, as exposed in the BBC's Hardtalk interview (link below): "Pie in the Sky." Listen to Steven Sakur expose the fundamental flaws in his medical business model he intends to roll out for the Western world. So there is more to this story and project than has been revealed in Cayman. This will not be Shetty's hospital;it will be his American partner's hospital…if they are the major investors, they are the major owners. And….the choice of Cayman for a medical training school is about getting Indian nationals qualified in medical careers…and also supplying the facility with Indian nationals as employees..who originally come to the Cayman Islands as medical students. And it was not until Cayman's medical practitioners law was recently changed that Indian-qualified doctors could practice in Cayman…which, of course, creates employment opportunities for the Indian medical students who will have been trained at the facility's mediacl training school. Are the Chinese also going to be given the construction contract for the building of the physical infrastructure of this medical comlex as well ? Why am I getting this distinct feeling that the Cayman Islands has once againbeen shafted good and proper…and that the only benefit that will come Cayman's way is the WORK PERMIT FEE ? So didnt anyone check his financial backgroud before? This project is changing every month. I hope its not just another hospital as we have 2 already. The proposal was for a tourism hospital only! What part of this story has anything to do with Dr Shetty's finances? If HSA cannot make a profit running GT hospital why would someone come here to compete with it?? Well competition might reduce prices and improve service – we are bad need of both. Is it me or has the Cayman Islands Governement and its people been tricked only at this late stage or was it a ruse from the very beginning? Does anybody else remember when Dr Shetty and his local partners Gene Thompson and Mr. Chandi of Magnum Jewellers went around promoting the healthy city, the medical school, the potential millions of dollars that were going to form the third pillar of the cayman economy? The entire project was to be a $2 billion dollar project soley financed and operated by Dr Shetty as he was a world renowned specialist and multi millionaire who would be responsible for the economic miracle and 'gift' to the country. Does anybody remember all the promises made by the developers and local partners? What about the various legislative changes made to satisfy Dr. Shetty? Does anybody remember Health Minister Mark Scotland agreeing to an MOU that gave away hundreds of millions in concessions for up to 100 years in some areas to make Gene and Shetty happy? This facility has always been a PHASED development- a smaller initial phase one just means Cayman gets benifits faster. Additionally Concessions do NOT give away anything. If the investment does not happen in the first place, Cayman has nothing. Not sure what part of that concept don't you understand. The medical school was announced to begin this year in an existing local institution. I wish them all the best. I said from day one the expectations were way too high for such an unproven model in this part of the world. I made some predictions in some comments a while back that CNS deleted, but one of these day I relieve publicly what my prediction was. By now you should have realised that the people he has been dealing with in Govt can be sold anything and everything, you just have to tell them a story and they will bypass every law, give you millions in concessions, proclaim that they have saved Cayman, and sign the contract without even reading it or getting a legal opinion on it, because all that bureaucracy would stifle development.